Then of course I found someone else who had done something similar. Curse you Pinterest!!! OK ~ so I really don’t mean that. I love you Pinterest. You are a blessing and a curse. But I really made the whole recipe up myself. Really I did. And it turned out pretty tasty on the first try. I have been really stuck on the whole spaghetti braid thing. The guys ask me to make it about once a week. Not that I actually make it that often, but they are not shy about asking. Naturally, with the whole braid situation working for me, I had to find other meals that I could use with this delivery system. 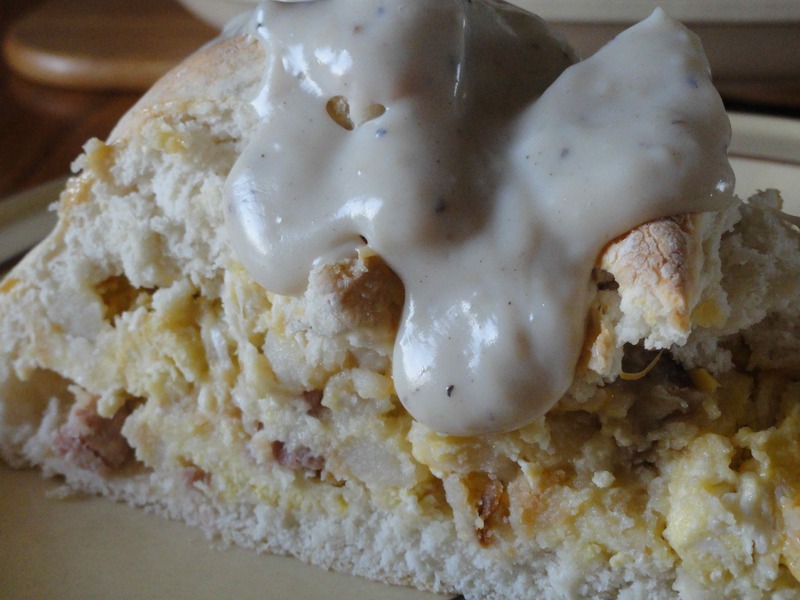 Make a double batch of Bisquick biscuits, and roll it out on parchment. For that you need 4 1/2 c. Bisquick and 1 1/3 c. milk. 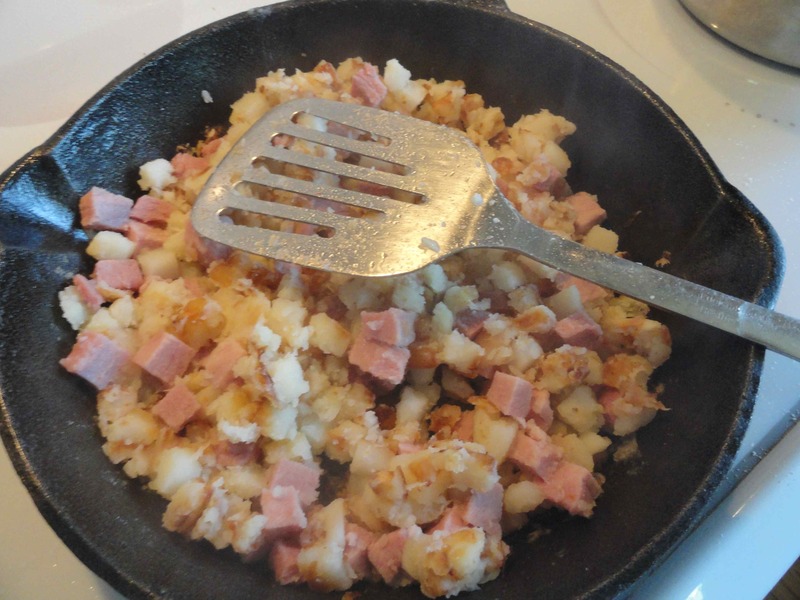 In a skillet – make some hashbrowns, add some cubed ham, and maybe some onions & green pepper (or chives and mushrooms), then add the eggs and get them about 3/4 of the way scrambled and set. 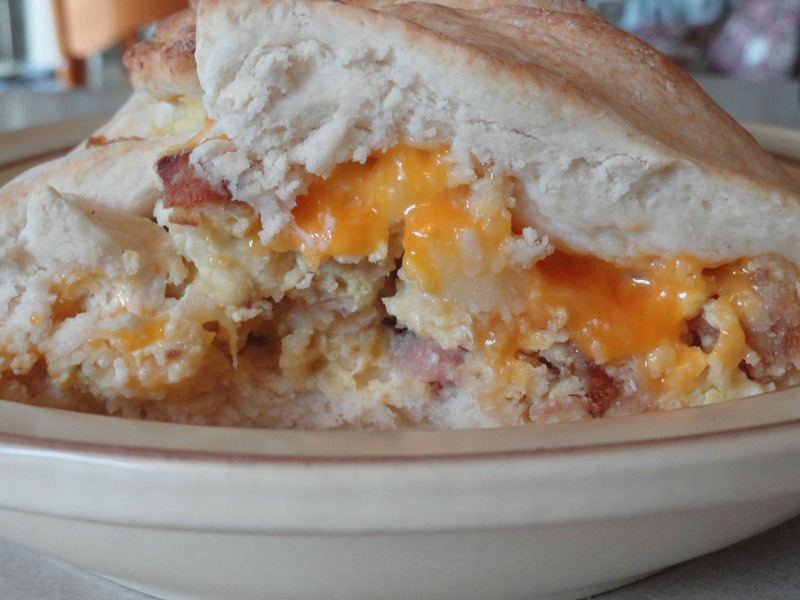 Obviously – there are unlimited possibilities – think along the lines that anything added to an omelet can go into your scramble. I know I plan on getting creative with this part. Asparagus and bacon. Cherry tomatoes, monterey jack & a sprinkle of cayenne. Broccoli, lots of broccoli. 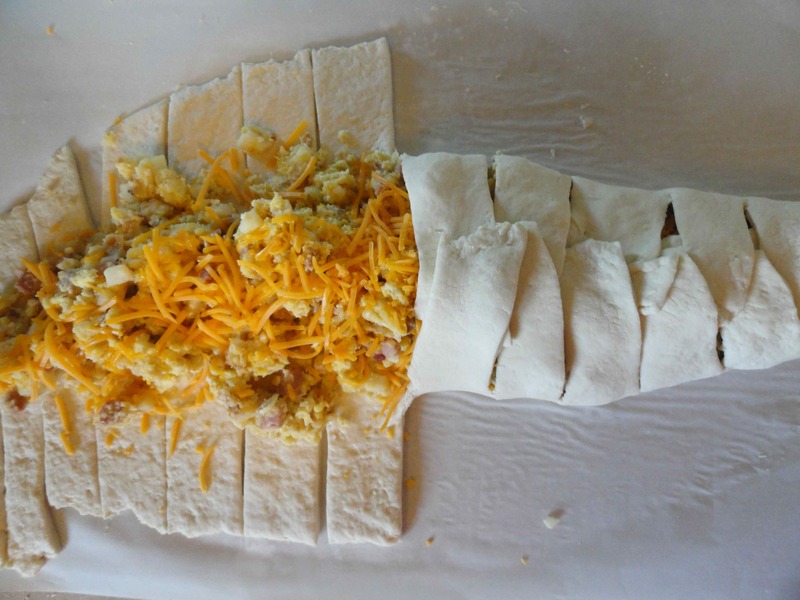 Layer it on the dough, with some shredded cheese, salt & pepper; and cut wide strips down the sides. Braid that puppy up and bake it in the oven for about 10 – 15 minutes, basically till you get your desired level of tanning on the biscuit dough. While that is in the oven, get a handy-dandy packet or two of McCormick’s Country or Sausage Gravy mix cooked up on the stove. 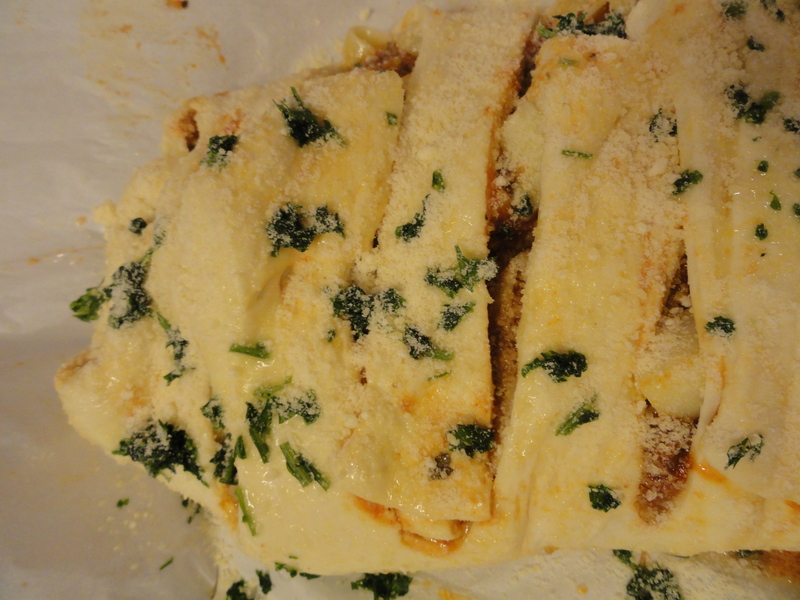 And yes, it has like a bajillion calories, but it feeds at least 6 – 8 people and is oh-s0-yummy! That looks and sounds good, I have to try that sometime soon.